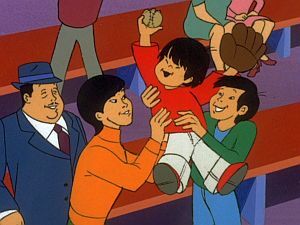 Following a World Series game, the Chan boys seek the autograph of star player Boo Blew. However, they witness Blew's kidnapping which sends the Chan Clan and their famous Pop into action. Stanley briefly wears a Yogi Bear disguise, one of the major Hanna-Barbera stable of characters. Anne's statement, "We women have our rights!" reflects the beginnings of the women's liberation movement. 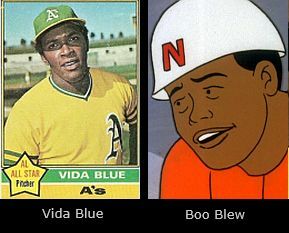 The baseball star Boo Blew is a reference to then Oakland Athletics all-star pitcher Vida Blue. In 1971, Blue won both the American League Most Valuable Player and Cy Young awards. The name of the Nationals' manager, Jo-Jo Maggio, was patterned after that of baseball Hall-of-Famer Joe DiMaggio. To borrow a baseball expression, "It's my turn to bat."